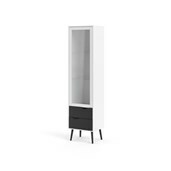 Flashback for a functional future. 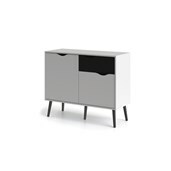 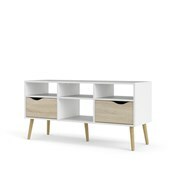 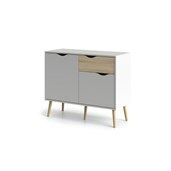 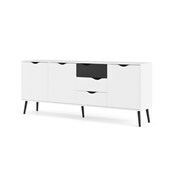 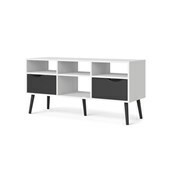 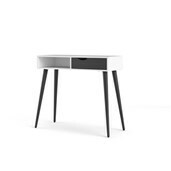 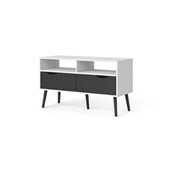 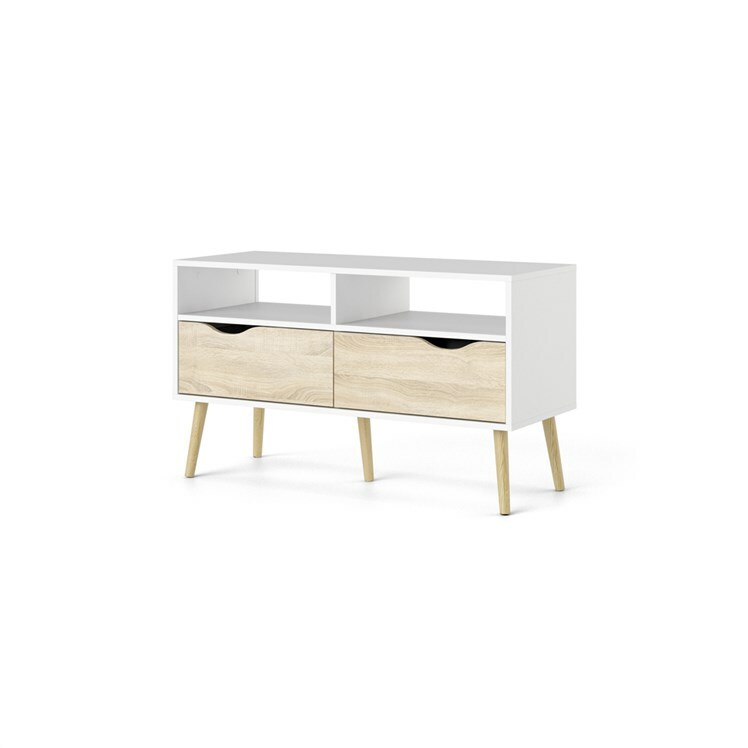 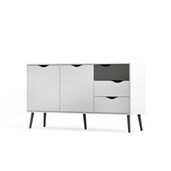 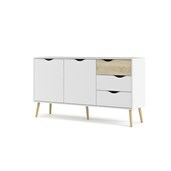 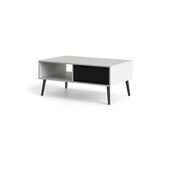 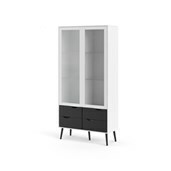 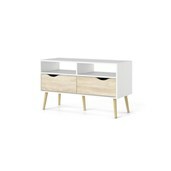 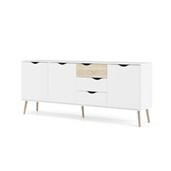 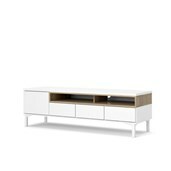 Alluding a retro modern charm, this media console from the Oslo Collection features two open shelves and two drawers with grooved cut out handles. 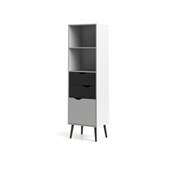 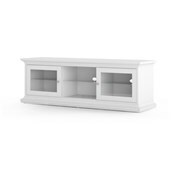 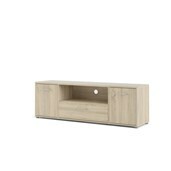 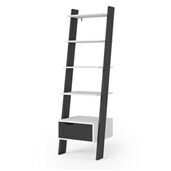 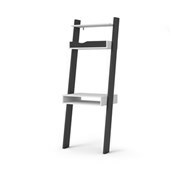 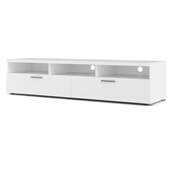 Ideal for any Living space that needs media storage, the console can support up to a 37” teleVision while also providing a nook for other entertainment devices. 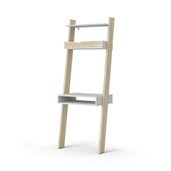 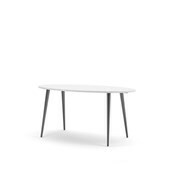 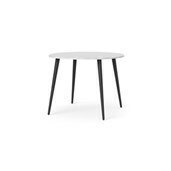 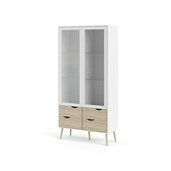 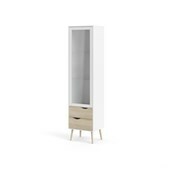 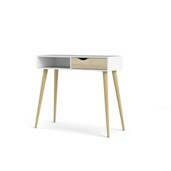 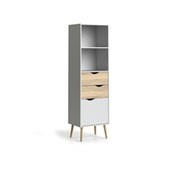 The light and airy color combination of a crisp White top with solid Oak tapered, round legs perfects this fresh interpretation of mid century design.